ST PETERSBURG, RUSSIA - CIRCA AUGUST 2014: View of Hermitage Museum (Winter Palace). 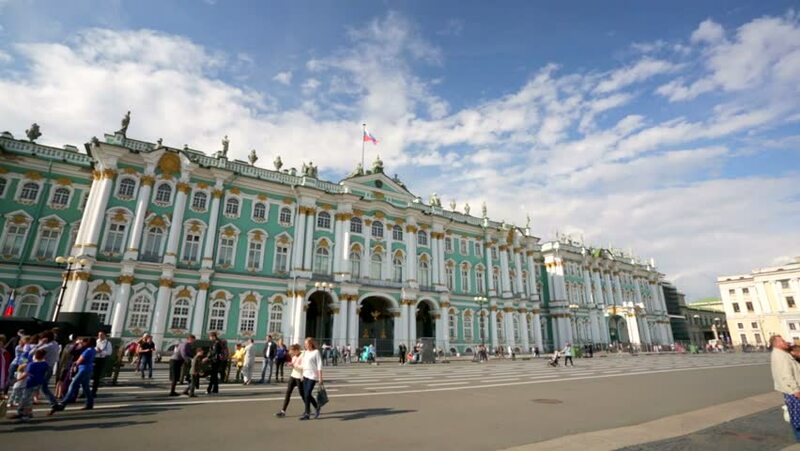 Hermitage is one of the largest museums in the world, it was founded in 1764 by Catherine the Great. hd00:21Main Market Square (Rynek) with the Renaissance Drapers' Hall (Sukiennice), in Krakow, Poland. hd00:17KRAKOW, POLAND - SEN 18: View of Main Market Square (Rynek) with the Renaissance Drapers' Hall (Sukiennice), Sen 18, 2013 in Krakow, Poland. Square dates to the 13th century, and at roughly 40,000 m.
4k00:16SEVILLE / SPAIN - FEBRUARY 7, 2018: The Plaza de Espana built for the Ibero-American Exposition of 1929 a popular landmark for visitors to Seville.